The Seven Basic Tools of Quality are powerful tools for quality assurance issues. Our free downloadable guide below explains each and how to use them. 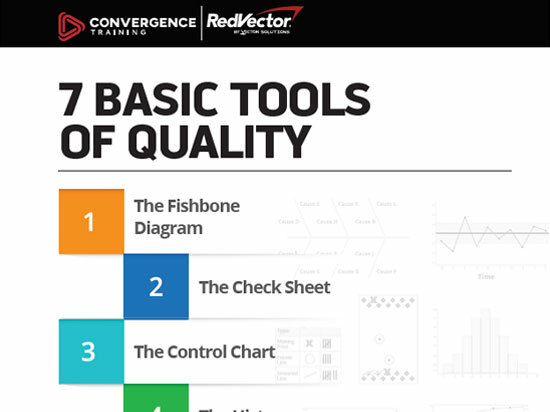 Download the guide now and stay tuned for similar offerings from your friends at Convergence Training (such as this PDCA Cycle infographic, this DMAIC infographic, and this Deming’s 14 Management Points guide). 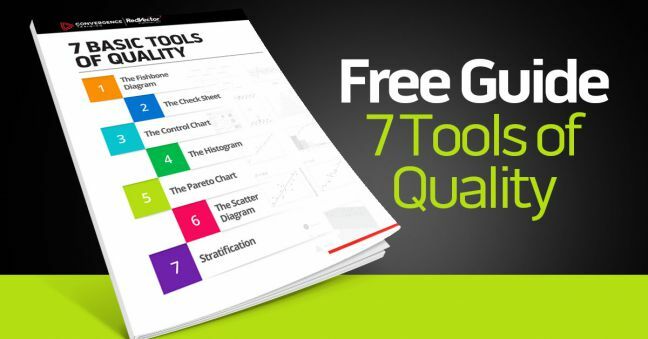 You can also read more here about the 7 tools of quality.